The very first group of settlers was Sephardic Jews who arrived from Brazil in New Amsterdam long back in 1654. For several decades later, Sephardic and Ashkenazic merchants established themselves in the colonial ports in America, in places like New Amsterdam (now New York), Philadelphia, Savannah, etc. The tone and traditions of Sephardic Jews dominated the American Revolution that took place, even though at the time, around 1730 the Ashkenazi Jews dominated the former as a population count. The synagogues followed Sephardic rituals and customs which encompassed all aspects of Jewish religious existence. At the time none of these religious institutions attempted at governing the economic activities of its major traders and merchants. This was tangential to the Old World beliefs were the synagogues taxed commercial and other transactions and kept a thick regulatory check on the different kinds of Jewish Publications, and punished on any deviation and lapses in the commercial or personal aspects. In this way the American synagogues placed themselves in a completely different world as compared to the conventional traditions of Jewish institutions. 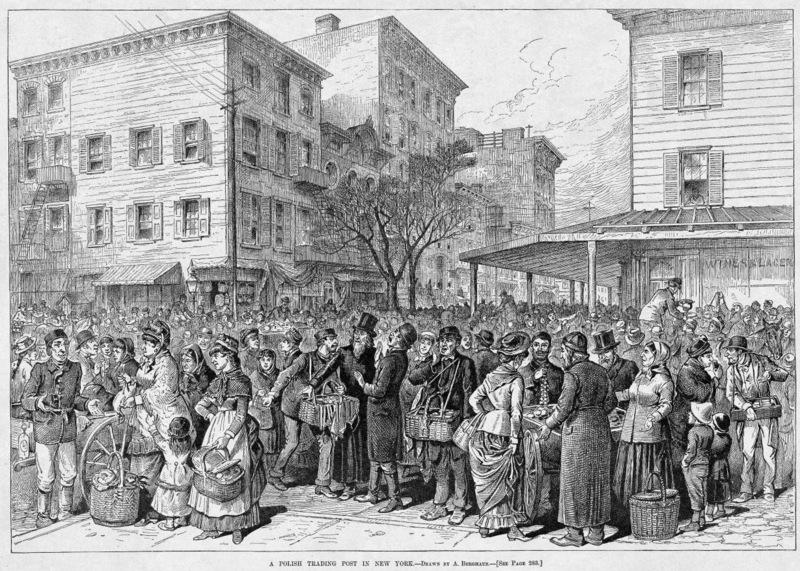 The second phase was the immigration of German Jews who began to come to America in large numbers in the 1840s. Germany imposed strict laws, persecutions and economic hardship to its citizens which compelled them to leave and immigrate to the United States for a better life without the regulatory restrictions of the government and the German Jews there who lived, advocating reform and revolution. They looked to America as a solution of modernization and open living where they would get economic and social windows of opportunity, and be allowed to live in freedom. German Jews mainly flocked to Cincinnati, since it was considered a gateway to trade in the Midwest and West. It became a major point of origin for the movement of Reformed American Judaism, and was the inception point of the movement’s first American Leader, Issac Mayer Wise. German Jewish Immigrants also put up major institutions such as the Jewish Committee, the National Council of Jewish Women, etc. The third and most important was the Eastern European phase of immigrants, which mainly began post 1880. They arrived in America lured by the promises of financial stability, reliable jobs, and the social advancements in the cultures and traditions of Judaism. However, the main driving force for immigration was the rampant poverty, overpopulation and the oppressive legislation of their home. There was a large onset of Jewish immigration with over 2 million Jews from Austria-Hungary, Romania and Russia, to America. The state of the Jewish population was once again transformed by adding this mix of these various cultures into the already stabilized American Jewish Population. This went on till there was a regulatory halt on Jewish immigration quotas in 1924. The immigrants chanced to come by at the wrong period of time and had to establish themselves and their families in the less wealthy parts of the major cities. However by the turn of the 20th century most prime cities were hustling with the Jewish communities firmly establishing themselves in blocks of the city. Living conditions for these populations were down trodden and impoverished, with most of the members working in factories, especially in the garment, as well as domestic services with companies like MaidMarines, etc. Jewish workers supported the labor movement which was in favor of better conditions for the labor force. Along with that, Yiddish culture, in the form of print media and drama, with the shoddy state of the Jewish Immigrant worker being one of the most common themes. The Eastern European Jews brought with them a certain set of ideologies and principles, and that would influence many future American Jews. Along with that, this crowd introduced unprecedented support for Jewish Nationalism in the crowd. All in all the Jewish Immigration caused many ripples in the American Community and lead to a cross cultural influence of both communities on each other. Jewish immigrants in the United States mainly consist of Ashkenazi, meaning the race of Jews that mainly owe their origins to Germany and the eastern parts of Europe. This, however, is in contradiction to the history of Jewish Immigration since the very first Jewish Immigrants to the US consisted of Sephardic, whose roots could be traced back to Portugal and Spain. There were three major immigrations of Jews to the US in the records of history, and this article will consider all three of them namely the Sephardic, German and Eastern European. This should not be confused with the fact that the immigrants of each period were specifically of that race, but annotates the name to the dominant group amongst all the immigrants at the time. Keep updated with our blog for more Jewish immigration history. Copyright © JacWeb 2019. All Rights Reserved.